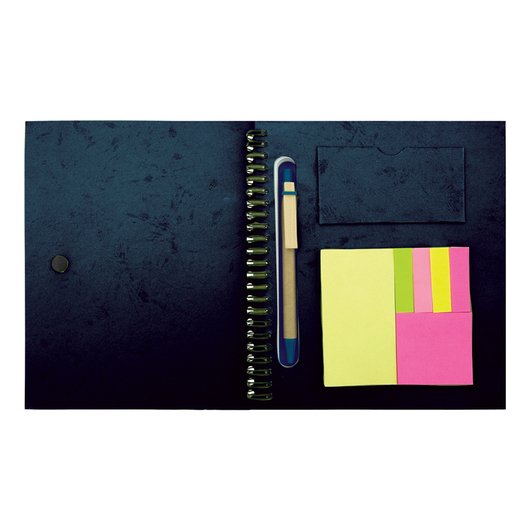 A brilliant notebook that includes a bunch of extra goodies that puts them on another level. 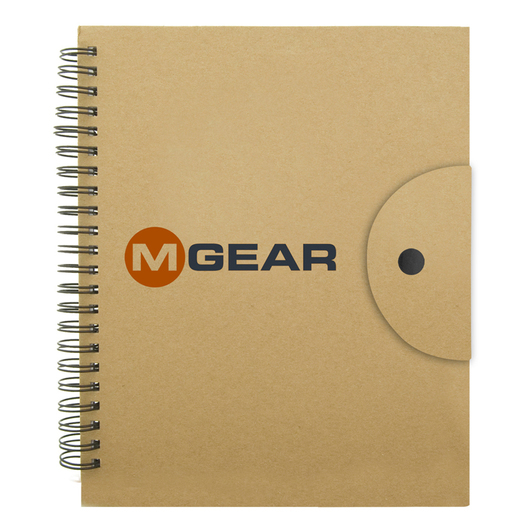 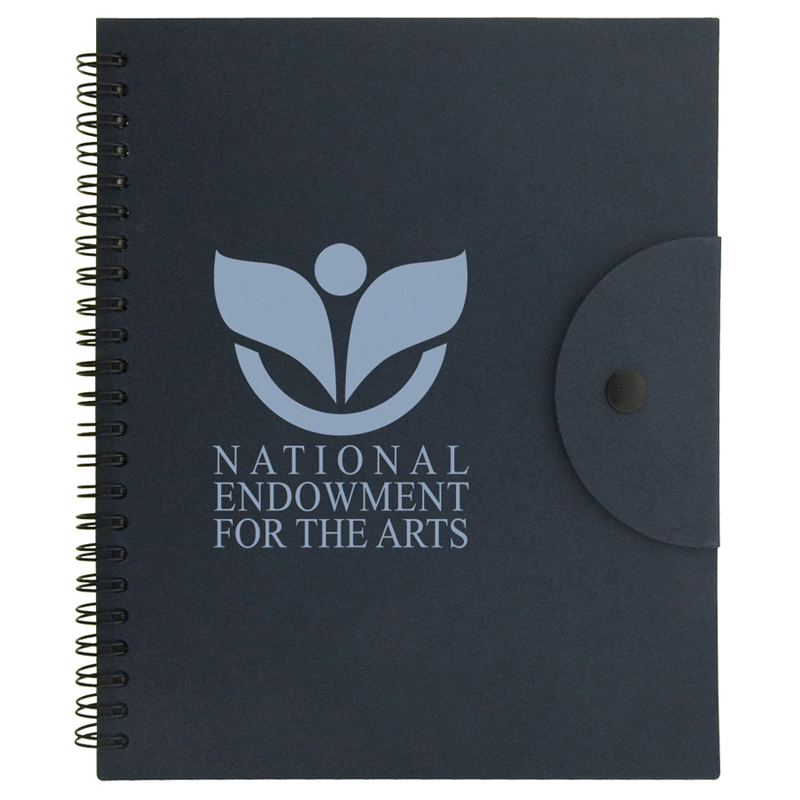 Featuring a snap closure and many added extras these notebooks are a fantastic tool to increase your organisations awareness. 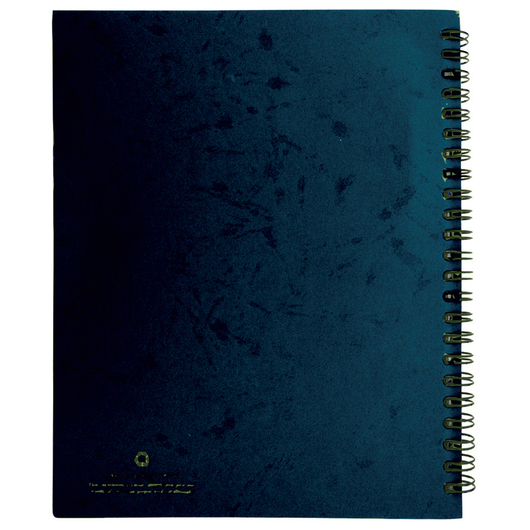 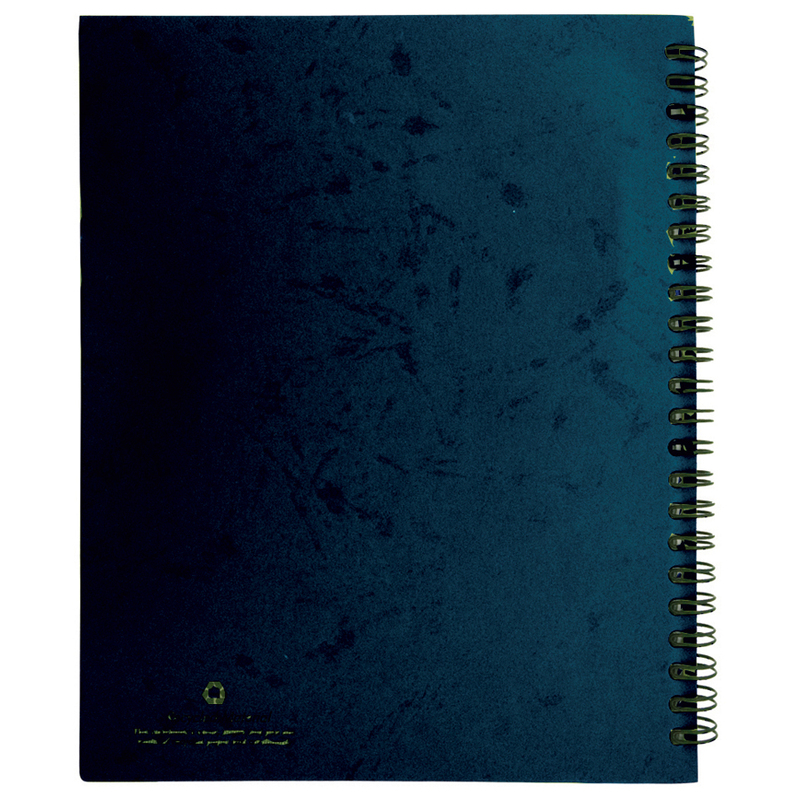 The notebook contains 70 pages of recycled lined paper which are lined with soy ink. 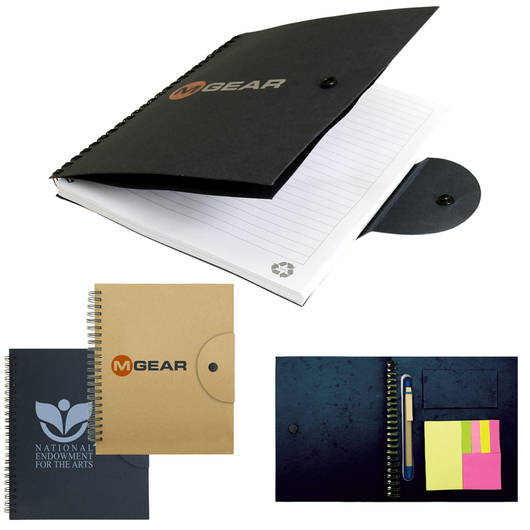 Each page and the back cover have the recycled logo on them as well. Other things included: recycled blank black pen, 25 large yellow adhesive notes, 25 medium ahesive notes and 5 colours of adhesive note flags.